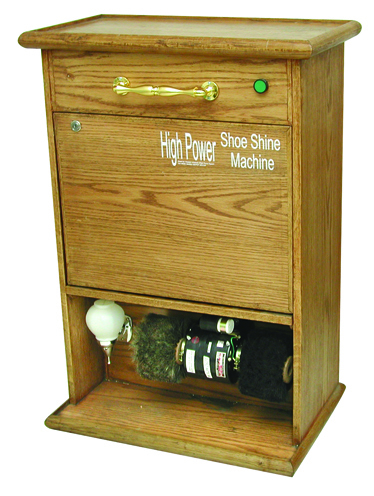 * Shoe shining, provides guest comfort & hospitality in your establishment. 3- Button for switch On/Off, with one minute timer. 4- Cabinet for for keeping shoes, polish bottles.